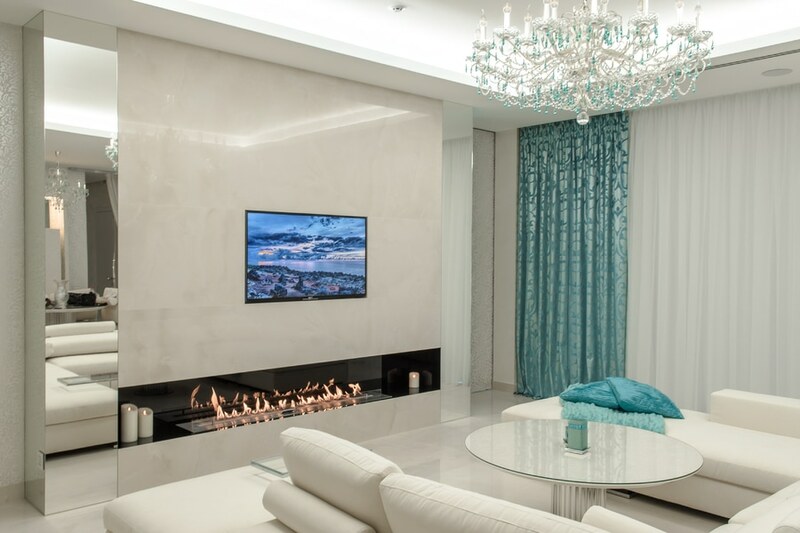 News & Trends> Product Trends > RESIDENTIAL ARCHITECTURE PROJECTS > Apartment Interiors > Planika > FLA 3 in a private residence, Ukraine. 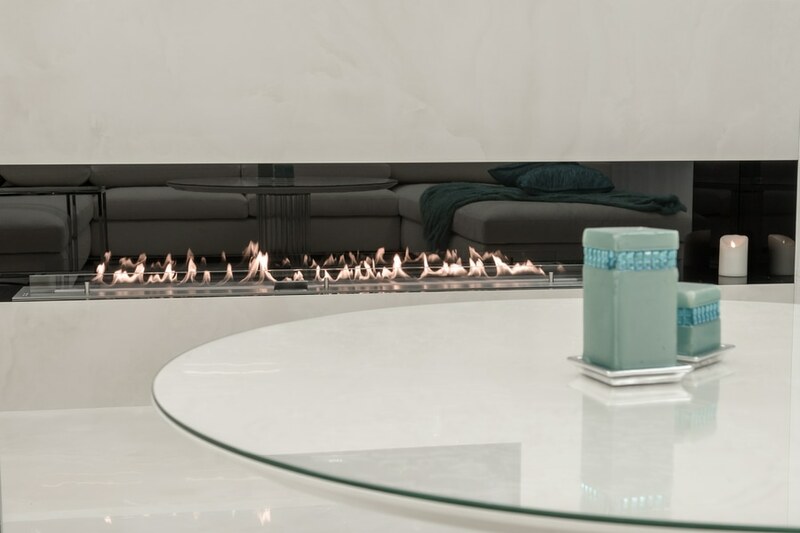 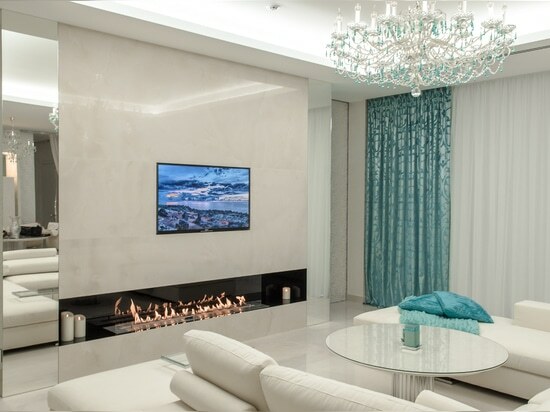 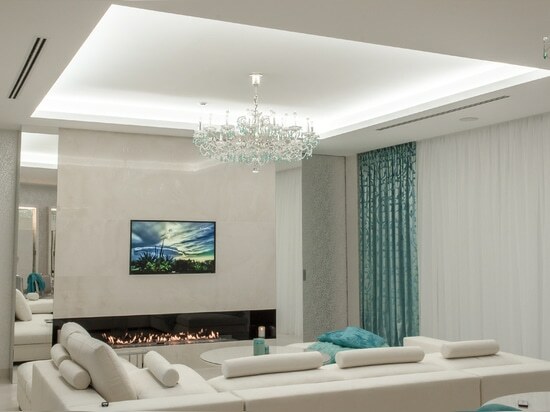 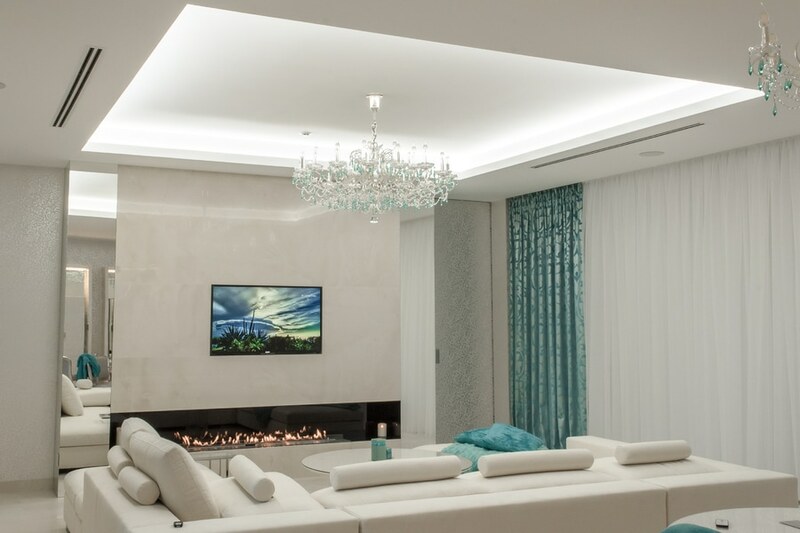 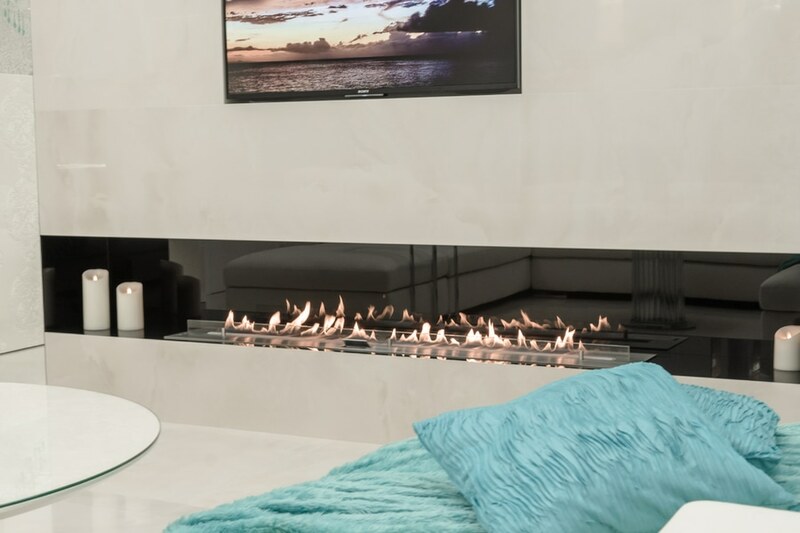 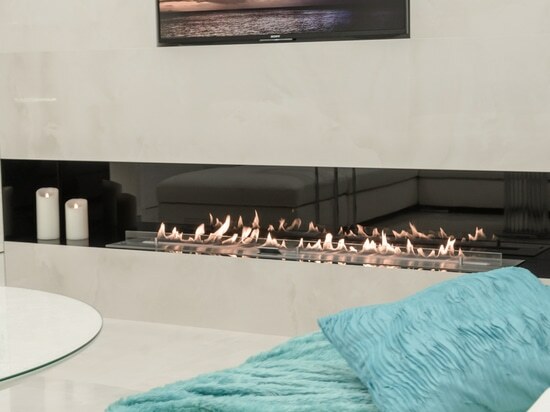 This beautiful project of modern apartment in Ukraine was designed with Planika's Fire Line Automatic fireplace, 1800 mm long, specially made to order, located in the middle of the living room. 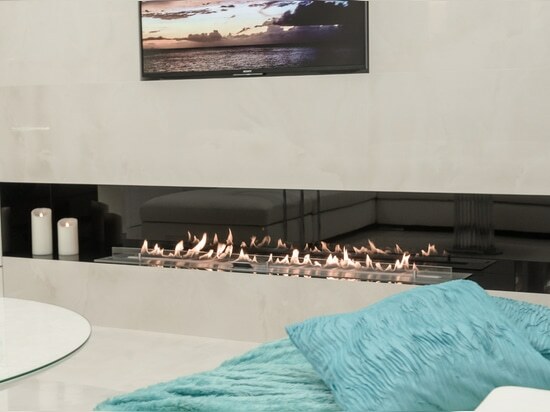 This method of installation is often used by interior designers, to create a comfortable recreation area, in which television and fire scenes are perfectly combined. 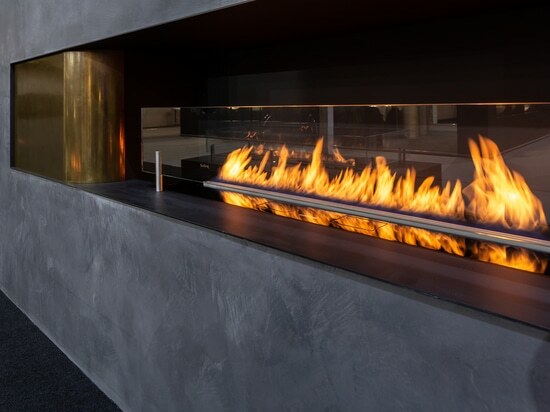 Glossy surface of the casing reflects the light of flames, giving them even greater volume and depth. 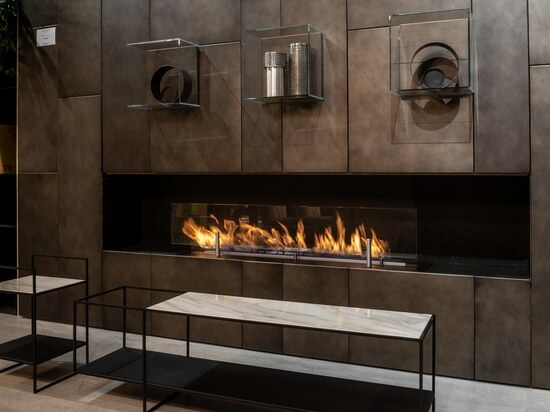 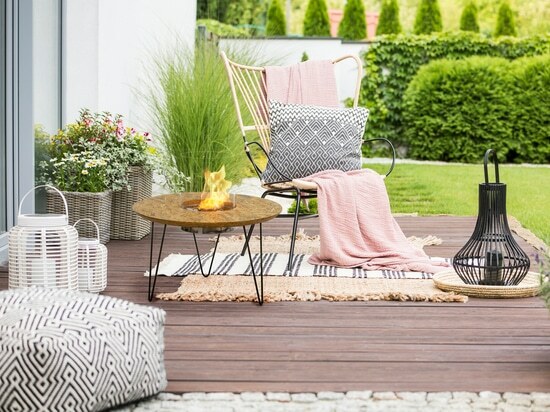 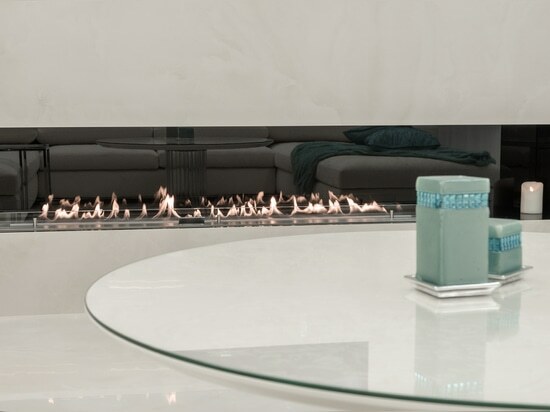 Due to the fact that the width of the casing is bigger than the length of the fireplace, the space on the sides can be used for putting additional decorative elements like for example candles.